Video Recipe - Cheese production seems like something dark and mysterious. But it really is not. Especially the cheeses that does not have to be aged can be easily made at home. 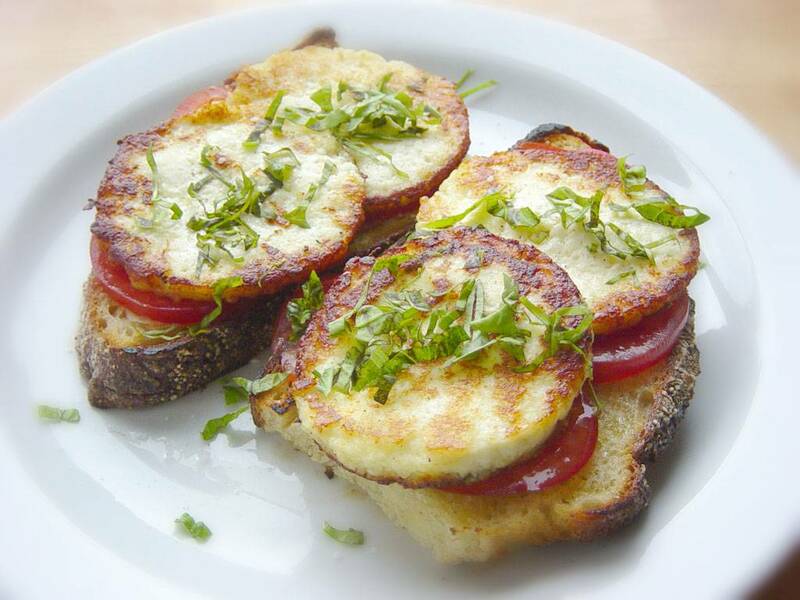 The Italian Ricotta and its cousin, the Indian Paneer, are both very easy to make, and incredibly useful for cooking. Mix water and vinegar so you have 1 dl (½ cup) water / vinegar mixture ready. When the milk begins to simmer add some of the vinegar mixture and stir well. The milk begins to separate into curds and whey due to the acid and the heat. The curds are the lumps and whey is the liquid. You keep slowly adding more vinegar mixture and stirring. When the whey is yellowish and transparent the ricotta is finished. Strain the mixture so that only the curds are left. You cannot use the whey for anything. Keep the curd in strainer and rinse it under a running tap or a bowl of cold water. Break it up with your fingers so all acid taste is flushed out. Put the washed curd into a bowl and mix in the salt. Distribute it well. Depending on how firm you want the cheese, you can press and shape. The easiest way is to get it into a mold and then place something heavy on it. The pressure makes the water drain from it. I often use an old empty can of canned tomatoes that I have opened with a can opener, in both ends, that does not produce sharp edges. You can also just leave it in the strainer, or put it into some cheesecloth, and then put something heavy on top. The heavier the weight the firmer cheese. Although I usually just press it down firmly into the mold, and then dont add any extra weight when I let it drain overnight in the fridge. Let me admit it right away. It is not quite correct to call this a ricotta, but there is no difference in either the taste or the applications. 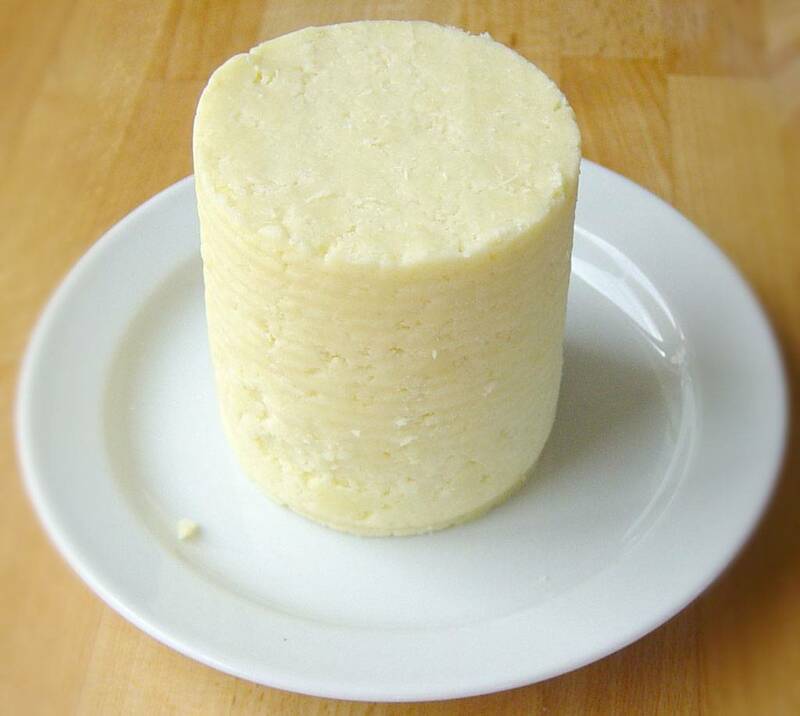 Traditionally ricotta is made with the whey left over from plain cheese production. There are a lot of proteins in the whey. You add some more milk to the whey, and then boil it up and add lemon or vinegar. But if you don't have your own cheese production, you are not often faced with several liters of whey that can be cooked for ricotta. But on the other hand you are probably often faced with a few liters of milk that are about to sing their last verse. I like to use that for ricotta. It gives the milk an additional week to live. In a traditional Indian paneer you use lemon instead of vinegar. So if you think you can taste the vinegar in this recipe and you do not like it, try to replace it with lemon. I use vinegar because I like it just fine, and it's cheaper. You can decide which milk you use for the recipe. I usually use whole or semi-skimmed milk. More fat makes for a softer cheese. 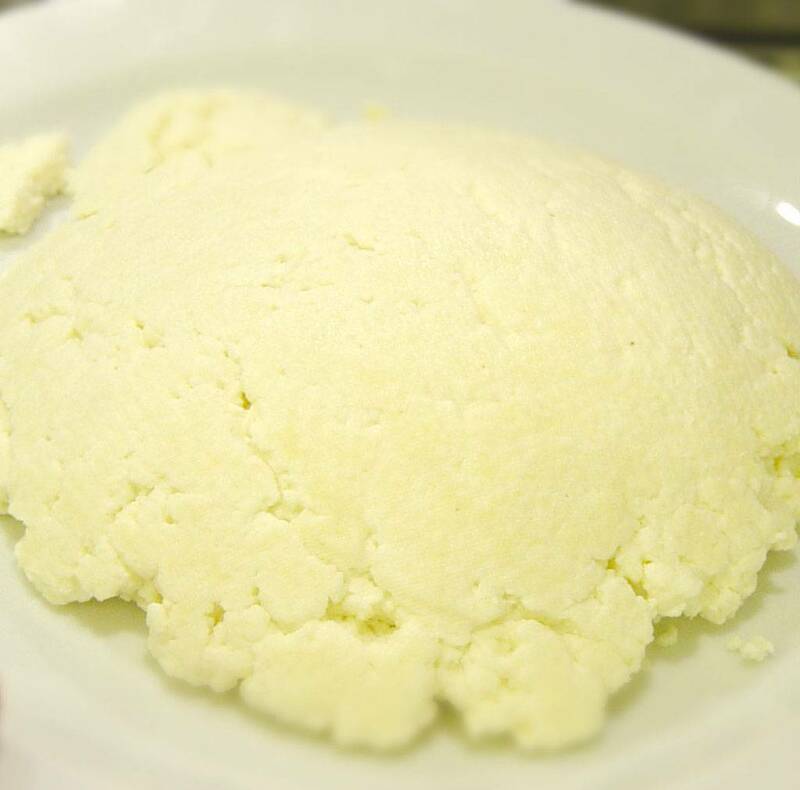 Ricotta cheese and other heated cheeses has the property that they do not melt. This means you can cut them into slices and fry them in a pan like meat. It's mostly what I use mine for, when I not just make ricotta cheesecake.